So I’d imagine that most people have heard about the Blink-182 drama that hit the news this past week. As a self-professed music addict, I thought I’d chip in my two cents on the story. I’m not going to rehash the whole affair - a quick internet search will get you up to speed - and what I’m going to say doesn’t have to only apply to this specific band. When people decide to start a band, they are driven to do so by a love of music (or at least they should be). Music is an art form and a means of self-expression, and not everyone is lucky enough to be able to forge a career from it. Many people end up in jobs they hate, so if you love yours, then count yourself lucky. And music is such a difficult industry to break in to, that those who choose to try it have to be dedicated and work extremely hard. Which Blink-182 certainly did, resulting in them achieving a fair amount of success. What being in band should not be about is money and fame. These are by-products of finding success in the industry; nice ones, sure, but definitely not the most important part of it. When artists become too obsessed with these things, then egos start to get in the way of making music. This is especially true for bands, more so than for solo artists. 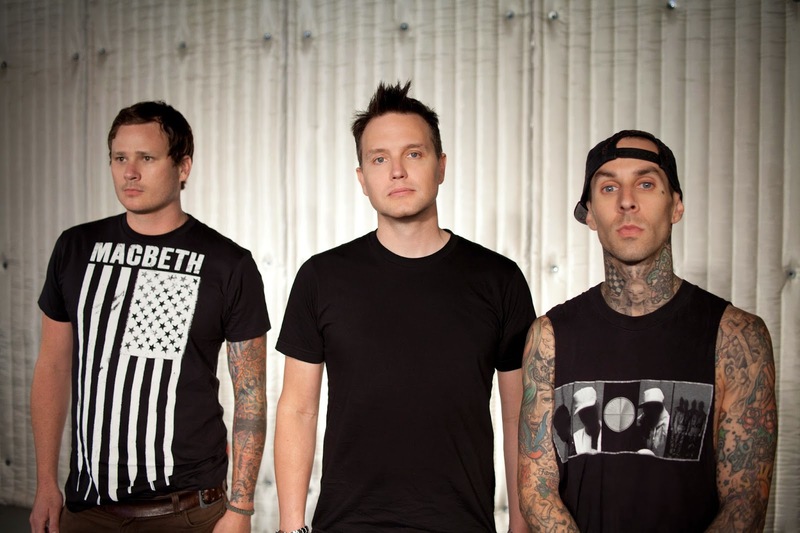 While I don’t understand all the ins and outs of the Blink-182 drama, or who is telling the whole story, it’s clear that there’s a big rift in the band, likely stemming from some egotistical issues, which has halted any attempts for the three of them to make music together. And it's a real shame if ego is what's driven them apart, when there are other bands out there who still love making music together, but end up splitting for financial reasons at the other end of the spectrum. Being in a band can be tough on relationships; a hobby becoming a career naturally means money is involved, creative conflicts arise, spending insane lengths of time together recording or on the road takes its toll. But it’s how people handle these problems that makes or breaks a band; either they grow stronger together, or it rips them apart. If bands arise from a shared love of music, they should also bring a shared sense of joy, ambition and closeness with them. The strongest bands are those who view each other as friends, not simply colleagues. And somehow, that’s how Blink-182 has torn at the seams. A once legendary band is now squabbling and pointing fingers at each other. They’ve split once before, but gave it a second whirl a few years ago. Yet somehow this time, it feels more final. It can easily happen with many bands, that one member no longer loves it like the others still do, and so chooses to leave. Or even the whole group agreeing to call it a day, for whatever reason. Of course, it’s sad for fans when this happens, even if it’s done on good terms; but to do it with so much drama and fighting as this has led to, makes it far, far worse. The whole affair has turned into a disaster, leaving friendships ruined and fans heartbroken. What the future holds for the members of Blink-182 remains to be seen. But what every other band should learn from this, is to remember what’s important. When money and ego starts to cause arguments, pause, and remind yourselves why you started this journey together in the first place. Remember a time when you were just a group of friends who wanted to make music, and try to get back to that again.